Although never making the big time, the Masqueraders survived for over twenty years, through personnel and name changes. Their beginnings can be traced back to 1958, when Robert Wrightsil and Charlie Moore formed a group with other school friends, calling themselves the Stairs. They performed locally during the next two years and eventually changed their name to the Masqueraders. 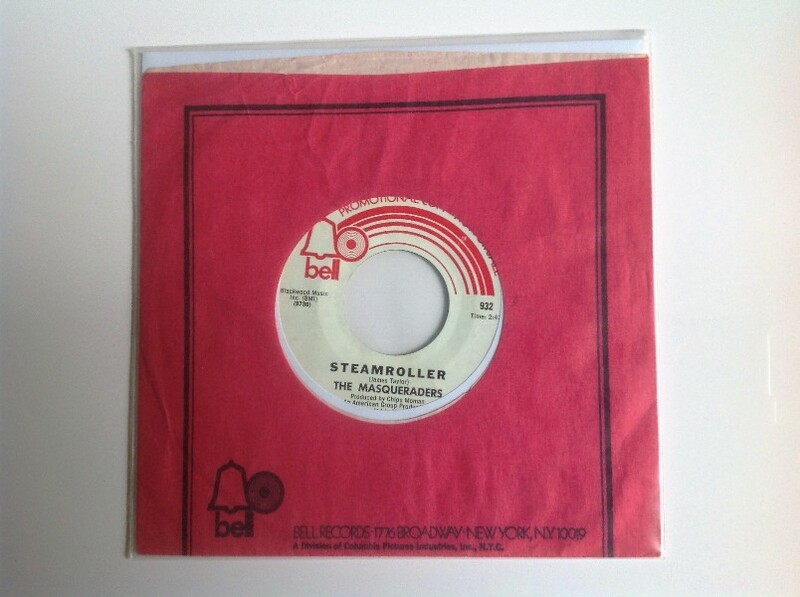 The early recording career of the group is something of a mystery: it is possible that the Stairs released a couple of singles in 1959 and that the first Masqueraders release was as early as 1963. From 1965 to 1980, however, they had fairly regular single releases on a number of labels, without ever finding significant success. In 1968 the group tried its luck at Chip Moman's studio in Memphis and it was probably there that they recorded the original version of "Steamroller," which was released as a single on Bell 932. James Taylor wrote "Steamroller" as a parody on the music of what he termed the "so-called blues groups in New York City," who were "making a lot of noise with electric guitars and amplifiers that their parents had bought them for Christmas and birthdays…" (James Taylor/Joni Mitchell BBC radio show, 1970). James Taylor's composition was called simply "Steamroller."